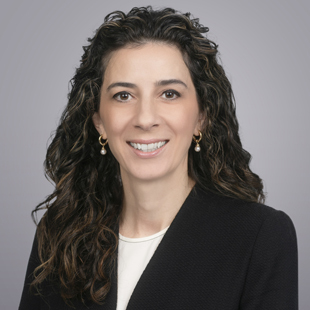 Anita Orazietti joined QuadReal as Senior Vice President, Finance & Planning in September 2018 after consulting with the company’s senior management during the formation of QuadReal over the past two years. Anita is responsible for the company’s financial planning, budgeting, management reporting and analysis. She was formerly Senior Vice President, Finance at Bentall Capital LP (now Bentall-Kennedy), where she was responsible for corporate and board reporting, controllership, budgeting and forecasting functions. Prior to that, she worked at Deloitte in both the Vancouver and Milan offices. Anita holds a Bachelor of Commerce from the University of British Columbia and is an accredited member of the Chartered Professional Accountants of British Columbia. Anita is inspired by the opportunity to be a part of the global, dynamic and experienced team of professionals at QuadReal.